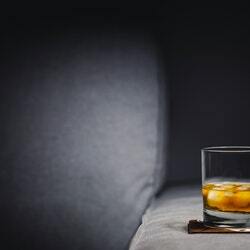 We’ve all heard how drinking alcohol is not good for diabetics, as alcohol is high in carbs and breaks down into glucose. But let’s face it, avoiding alcohol is easier said than done, especially if you enjoy the rich thick hoppy taste of dark beer with an order of hot wings. Up until now breweries did not have to show how many calories are in their beer but a new federal regulation will require breweries to show us exactly how many carbs and calories we’re gulping down. While drinking light beer is an option, light beer just doesn’t satisfy the taste buds like a full calorie beer or liquor. For instance, a 12 ounce bottle of Bud Light only has 82 calories and 1% carbs compared to 153 calories and 4% carbs of a similar sized bottle of full calorie beer. A 6 ounce glass of red wine has 150 calories and 2% carbs compared to 97 calories and 0% carbs for a 1.5 ounce serving of 80 proof distilled Vodka. These are just a sampling of carbs that can be found in alcoholic beverages as calorie and carbs vary from brewery to brewery. The biggest thing that I’ve noticed about alcoholic beverages is that is that the carbs really aren’t that high when you look at individual servings. The damage is done when you over consume calories, get intoxicated and throw disciplined eating out the window. There have been times when I told myself that I was only going to have one beer, then one turned into two and before I knew it I was like “excuse me Miss, can I have a slice of key lime pie? No, make that two slices of pie please”. There are ways that I burn off or metabolize the carbs that are found in alcohol. Having a strict and regular exercise routine has shown to be effective in burning off the carbs. Taking 2,000 -3,000 mg of cinnamon before I have a few drinks helps metabolize the carbs. I’ve also found that taking 1000mcg of chromium helps to burn off the calories as well but I see the best results when I combine all three of these tactics. One serious word of caution though, chromium can drop your blood sugar faster than you think so be careful. I’ve felt the profuse sweating, shaking, and light head that comes with low blood sugar. It was all attributed to me over doing it with my exercise and herb/mineral routine. Perhaps the best way to manage the calories is to limit the consumption of alcohol. Set your limit before you start drinking and tell the waitress to cut you off if you start asking for key lime pie. Alcohol is not high in carbs and does not break down into glucose. In fact, alcohol keeps BGs low. Some sweet alcoholic drinks and beer are high in carbs.